Did You Drink the Wrong Kool-Aid? In reading your Condominium Management Services Contract, do you feel like it’s not talking to you? When we start working with new condo buildings and their boards, these are the all too common issues that they had with their previous condo management services contracts. Not only that, but there is no consistency from one contract to the next, so who’s to say what a condo should actually expect from their contract.As a condo management services company, even we were left scratching our heads at some of the old contracts that came across our desk. 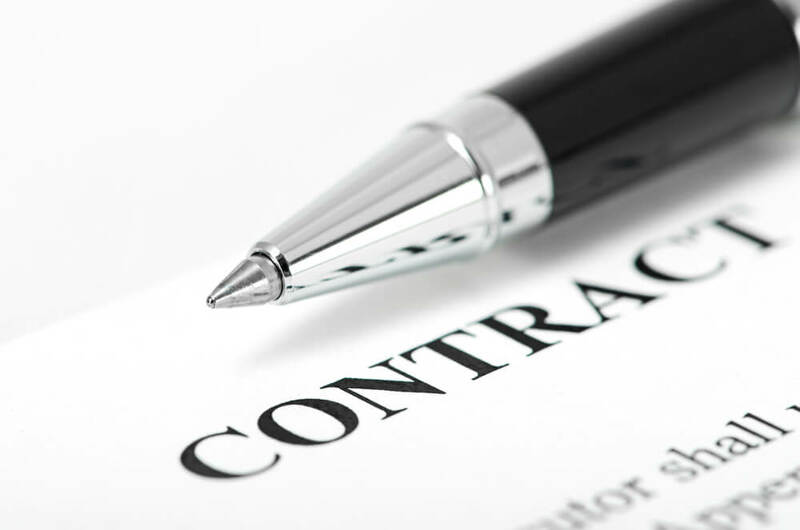 And, to put it as clearly as possible while still being PG in our content, we’re down right ticked off that there isn’t a consistent industry standard for condo management services contracts. So many contracts are heavily skewed towards the condominium’s property manager, and don’t speak to the actual condo unit owners. In some points, this makes sense as you, the board, do not have the right to control how a business operates. However, there are many points that are not quite reasonable and should be questioned before you sign. Below, we’ve outlined two common examples that we’ve had a lot of conversations about with our clients, both new and old. The first will break down when a contract is being unfair to a condo building; the second will highlight when a contract seems unreasonable, but is actually fair. We’re calling it: print costs. Don’t be fooled, printing costs ARE NOT captured in the management fees as outlined in your contract. Rather, these fees are going to be imbedded in a different line item and they are hard to identify. Really, because of the minimal amount of work (printing and slipping a piece of paper under the door) required, print costs become a revenue generator for your service company…but it falls on the shoulders of your condo corporation and residents. If you see “print costs” or any variation thereof on your invoices, or on line items from your condo management company, grill them about it. There really is no excuse these days for a services company to be charging clients for print jobs. With innovations in technology, condo boards and management companies are better equipped to effectively communicate with all residents in the building WITHOUT having to shove a piece of paper under a door at your residents’ expense. Think of these types of costs like a leaky faucet – if you don’t notice where your leaks are coming from, them a slow leak can be a huge cost detriment to your building over time, taking funds from other areas of your building. But what about those people who aren’t online? We recognize that there are always going to be individuals who do not go online or make use of technology. This is completely fine and something that can easily be accounted for. However, your condo management company should be able to handle one-off print jobs for those individuals who aren’t online. The cost and frequency of these will most likely be so minimal that it will take more time to add the line item to an invoice then to actually print and deliver the notice to those few individuals. Now, to play devil’s advocate, there are still things in your contract that may seem unfair to you, but actually ensure that your building remains consistent with service and quality expectations year over year. For instance, no one likes annual increases to fees, but there needs to be some increase to account for inflation, increases in service fees from contract companies (e.g. maintenance, snow removal, grounds keeping, etc. ), and so forth, particularly for policies that have an auto renew policy with no real end date. That said, while an increase in management fees is reasonable, you are allowed to negotiate what the rate increase will be. Often companies use the default rate increase on their contracts (typically 2 – 3%), but this doesn’t mean they aren’t open for negotiation. Sit down with your management company and start your negotiation if you aren’t happy with the service you’re receiving for the increase in fees. Get a clear understanding of what your expectations are, of what theirs are, and what is actually reasonable. You’ve gone through your contract with a magnifying glass and you’ve spotted a few items that make sense…and a few that just don’t. You are not a hostage with your contract. As you begin to educate yourself on what the norm of the industry is AND, as we believe, what the normin terms of service and fees should actually be, address issues with your condo management company. You are within the right to review your contract and make sure that it makes sense, is understood and favourable to all parties involved (win-win situations are the best), and doesn’t hide costs behind jargon and unquestioned line items. To learn more about condo management best practices, visit Alberta Condo Owners for Change.